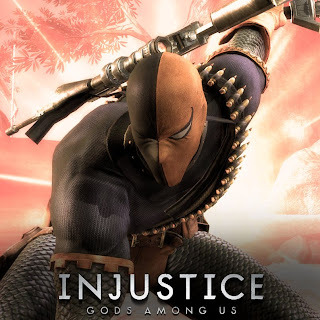 Another DLC skin for Injustice: Gods Among Us has been unveiled. Check out the Teen Titans attire for Deathstroke. "You're getting annoying!" Make no mistake about it, there's nothing annoying about the slew of DLC skin announcements for Injustice: Gods Among Us. The game's official Facebook page revealed another one today (May 3) and it's Deathstroke's Teen Titans outfit.